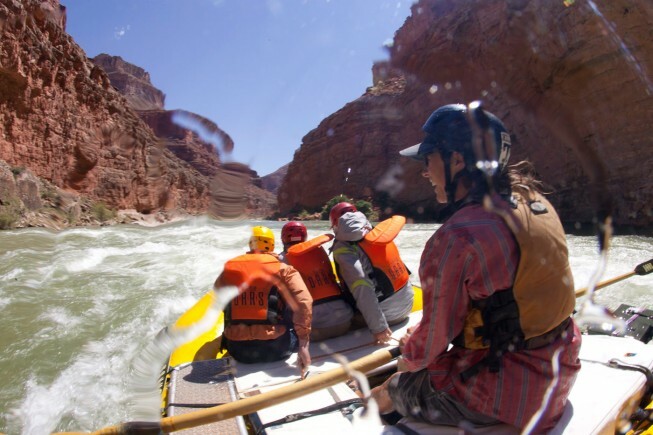 Georgie White is synonymous with Grand Canyon rafting. 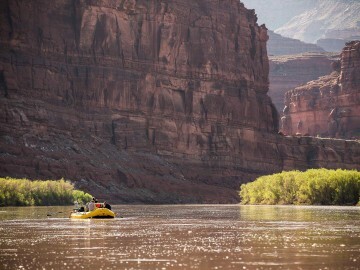 Her first trip down the Colorado River was in 1945 when she was 34-years-old. With the river running at 48,000 cfs, she and friend Harry Aleson jumped into the water and proceeded to swim 60 miles from Diamond Creek all the way to Lake Mead, wearing life jackets and carrying backpacks full of camping supplies. In 1952, she became the first woman ever to row the Grand Canyon. Later that year, Georgie revolutionized rafting by tying three rafts together for better stability and taking paying passengers through the Grand Canyon. Considered the first female river guide, Georgie was a true character known for her grit, tough attitude, and, of course, her leopard print leotard. 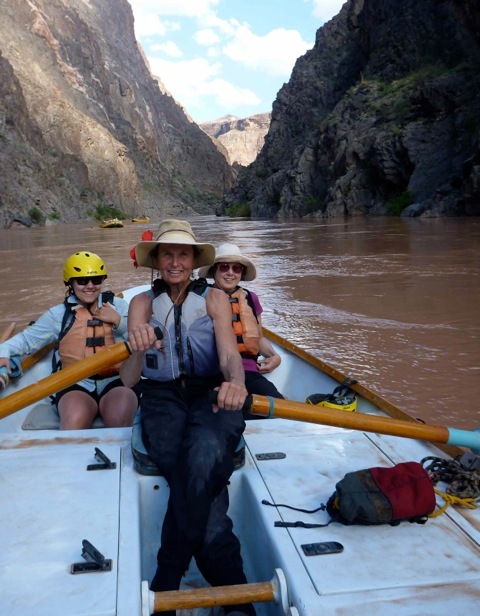 In the early 1970s, Liz Hymans got bit by the whitewater bug when she happened to tag along on a Cataract Canyon rafting trip. She knew she wanted in when she saw that the guide got paid and he got to run rapids. She headed to Lees Ferry and tried her best to get on as a swamper, a person who helps the crew in camp on a river trip. She got turned down left and right, but refused to give up. Eventually it was George Wendt, founder of OARS, who gave Liz the opportunity to row on the Stanislaus River in California. Liz continued to guide in California, becoming the first woman certified to guide the challenging and technical Tuolumne River. Liz also led over 100 trips in the Grand Canyon, and in 1980, went on to guide internationally on the Watut and Waghi Rivers in Papua New Guinea for Sobek. 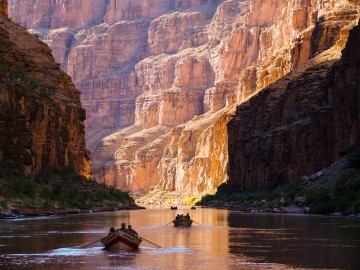 Ote Dale first experienced the Grand Canyon by boat in 1971 after being invited on a private rafting trip. She fell in love with the river and followed her new-found rafting passion by working as “free labor” and training whenever she could. It was common then for people to say that being a river guide is a man’s job. But she proved them wrong. 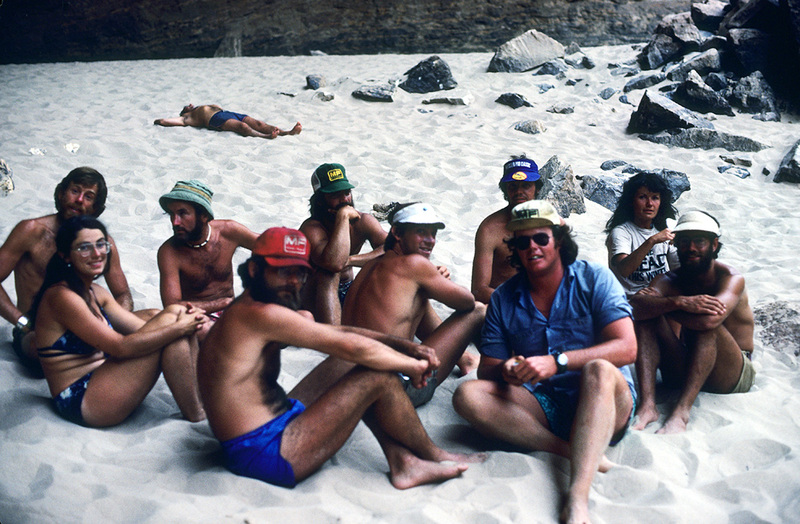 In 1974, Ote rowed her first commercial rafting trip for Moki Mac. Ten years later, she got the chance to row a dory for Martin Litton’s Grand Canyon Dories, which was considered by many to be a highly coveted position. Not only did Ote prove the naysayers wrong, she made a career out of guiding both rafts and dories for 40 years. On a whim in 1970, Marilyn Sayre joined a private rafting trip down the Colorado River, and afterward, she admits she never wanted to return home. She had a career as a computer programmer, but gave that up to pursue the life of a river guide. In 1973, she became the first woman since Georgie White to guide a commercial rafting trip down the Grand Canyon. And while she’s considered the first since Georgie, several other women including Liz, Ote, and others like Ellen Tibetts and Louise Teal, started their boating career around the same time. Competition for spots was fierce, but the women supported each other, and together, helped change the rules of commercial guiding. We give thanks to those who have rowed before us, as they have shown us the line to follow.